Manufacturer of a wide range of products which include a335 p21 pipe, a335 p1 pipe, a335 p2 pipe, a335 p5 pipe, a335 p5c pipe and a335 p9 pipe. 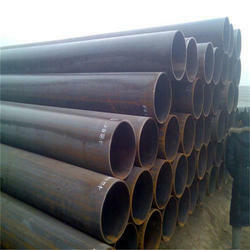 Aesteiron Steels Pvt Ltd, is A335 P21 Pipe Supplier. 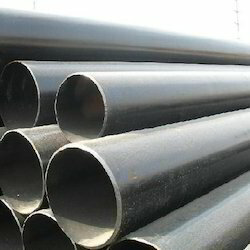 Aesteiron Steels Pvt Ltd, is A335 P1 Pipe Supplier. ASME SA 335 Alloy Steel P1 Seamless Pipe is usually used for application industry like chemical, oil & gas, petrochemical. 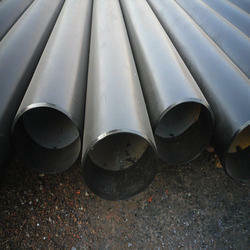 Aesteiron Steels Pvt Ltd, is A335 P2 Pipe Supplier. We offer a wide range of ASME SA 335 Alloy Steel P2 Seamless Pipe, with a diverse range of finish options to meet the performance & appearance requirements for most applications. 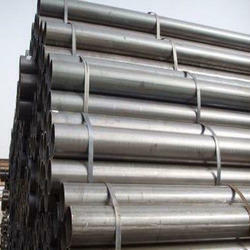 Aesteiron Steels Pvt Ltd, is A335 P5 Pipe Supplier. We offer a wide range of ASME SA 335 Alloy Steel P5 Seamless Pipe is suitable for bending, flanging, & similar forming operations & for fusion welding. 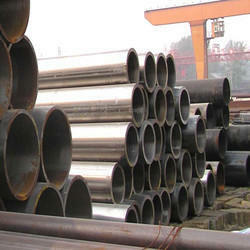 Aesteiron Steels Pvt Ltd, is A335 P5c Pipe Supplier. We offer a wide range of ASME SA 335 Alloy Steel P5c Seamless Pipe, with a diverse range of finish options to meet the performance & appearance requirements for most applications. 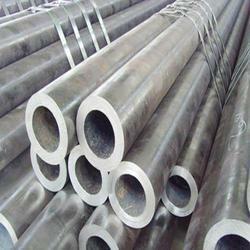 Aesteiron Steels Pvt Ltd, is A335 P9 Pipe Supplier. 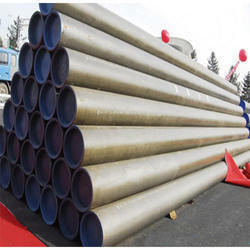 We offer a wide range of ASME SA 335 Alloy Steel P9 Seamless Pipe is used for application such as petroleum, chemical industry, electric power, boiler, high temperature resistant, low temperature resistant, corrosion resistant. 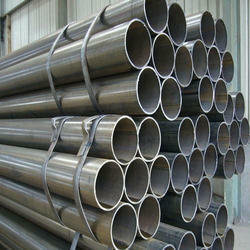 Aesteiron Steels Pvt Ltd, is A335 P11 Pipe Supplier. ASME SA 335 Alloy Steel P11 Seamless Pipe is a Seamless Ferritic Alloy Steel Pipe for high temperature services. It is suitable for bending & similar forming operations. 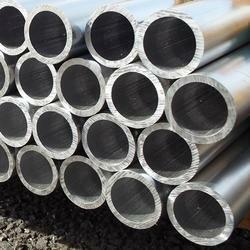 Aesteiron Steels Pvt Ltd, is A335 P15 Pipe Supplier. 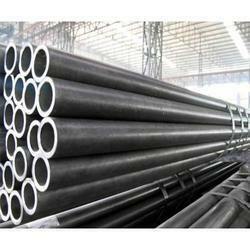 ASME SA 335 Alloy Steel P15 Seamless Pipe, is used for boilers, superheaters & heat exchangers. 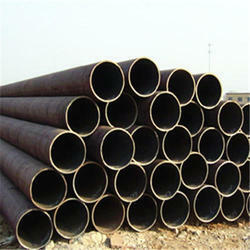 Aesteiron Steels Pvt Ltd, is A335 P12 Pipe Supplier. We offer a wide range of ASME SA 335 Alloy Steel P12 Seamless Pipe is especially suited for steam boiler, boiler parts, boiler drum, pressure vessels for the apparatus engineering & similar purpose. Aesteiron, is a prominent A 213 Gr T1 Tubing suppliers. ASME SA 213 Alloy Steel T1 Seamless Tubes presented are being made from soaring grade of steel materials. Aesteiron, is a prominent A 213 Gr T5c Tubing suppliers. ASME SA 213 Alloy Steel T5c Seamless Tubes is usually used for pulp & paper processing, oil refinery components, seawater cooling equipment, components in gas scrubbing plants. 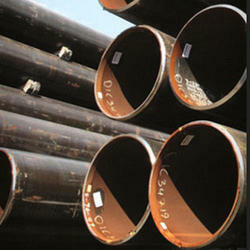 Aesteiron Steels Pvt Ltd, is A335 P5b Pipe Supplier. ASME SA 335 Alloy Steel P5b Seamless Pipe is usually used for application industry like chemical, oil & gas, petrochemical. ASME SA 335 Alloy Steel P5b is suitable for bending and other similar forming operation & for fusion welding. ASTM A335 P22 is a part of ASTM A335. It is suitable for bending & similar forming operations & for fusion welding. 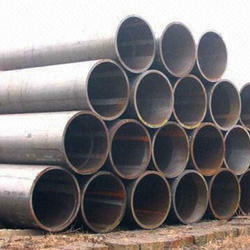 Aesteiron Steels Pvt Ltd, is A335 P92 Pipe Supplier. 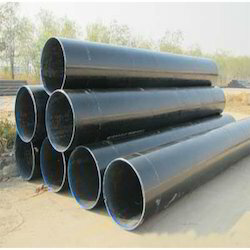 ASME SA 335 Alloy Steel P92 Seamless Pipe, is mainly used for high temperature services. It is available with us in different sizes, grades & specifications. Aesteiron, is a prominent A 213 Gr T36 Tubing suppliers. 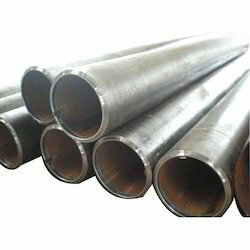 ASME SA 213 Alloy Steel T36 Seamless Tube provides higher creep rupture strength than normally achievable in similar grades without these different requirements. Aesteiron, is a prominent A 213 Gr T911 Tubing suppliers. ASME SA 213 Alloy Steel T911 Seamless Tubes is specially suited for steam boiler, boiler parts, boiler drum. Aesteiron, is a prominent A 213 Gr T2 Tubing suppliers. ASME SA 213 Alloy Steel T1 Seamless Tubes is usually used for industries such as construction, oil extraction, medical industry, food industry, chemical industry etc. Aesteiron, is a prominent A 213 Gr T5 Tubing suppliers. ASME SA 213 Alloy Steel T5 Seamless Tubes is usually used for industries such as petrochemical, chemical, power, shipbuilding etc. Aesteiron, is a prominent A 213 Gr T9 Tubing suppliers. ASME SA 213 Alloy Steel T9 Seamless Tubes is usually used for industry such as petroleum, construction, chemical & shipbuilding etc. Aesteiron, is a prominent A 213 Gr T11 Tubing suppliers. Aesteiron, is a prominent A 213 Gr T12 Tubing suppliers. ASME SA 213 Alloy Steel T12 Seamless Tubes is available in different grades & sizes. It is used in various application industries like chemical, petrochemical, metallurgy, shipbuilding, construction, metallurgy etc. Aesteiron, is a prominent A 213 Gr T17 Tubing suppliers. 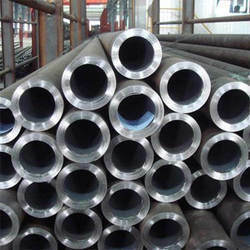 ASME SA 213 Alloy Steel T17 Seamless Tubes is usually used for industry such as superheaters, heat exchangers, power generation, petroleum etc. 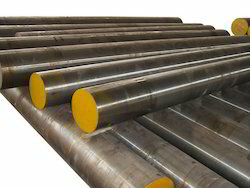 ASME SA 213 Alloy Steel T21 Seamless Tubes is used for industry such as oil & gas, heat exchangers, paper & pulp, chemicals, sugar & food processing, power plant, engineering, cement, oil mills etc. Aesteiron, is a prominent A 213 Gr T22 Tubing suppliers. 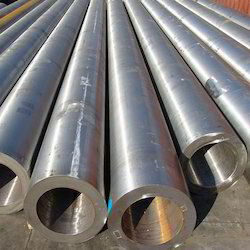 ASME SA 213 Alloy Steel T22 Seamless Tubes is used for industries such as shipbuilding, paper & pulp, petrochemical, refineries, fertilizers, steel plant, cement, mining etc. Aesteiron, is a prominent A 213 Gr T23 Tubing suppliers. ASME SA 213 Alloy Steel T9 Seamless Tubes provides higher creep rupture strength. Its is useful for industries such as engineering, nuclear power, refineries, paper & pulp, power plant, fertilizers, petroleum, chemical, steel plant etc. ASME SA 213 Alloy Steel T5c Seamless Tubes is used for high temperature service applications. ASME SA 213 Grade T5c is reheated and furnished in full annealed, isotherm annealed or normalized quenched & tempered condition. 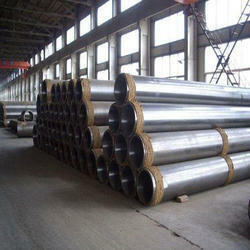 ASME SA 213 Alloy Steel T36 Seamless Tube is a kind of ferritic alloy seamless steel pipe. SA 213 T36 provides high resistant & low temperature or resistant corrosion resistant in the oil, chemical, & electric powder industry. Aesteiron, is a prominent A 213 Gr T91 Tubing suppliers. 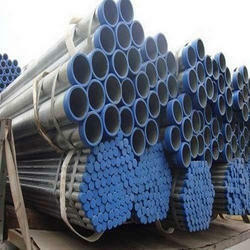 ASME SA 213 Alloy Steel T91 Seamless Tubes is widely used for application such as pharmaceuticals, chemicals, water treatment, oil & gas, fertilizers, heat exchangers, power & pulp, dairy etc. 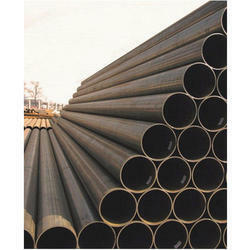 Aesteiron Steels Pvt Ltd, is A335 P91 Pipe Supplier. 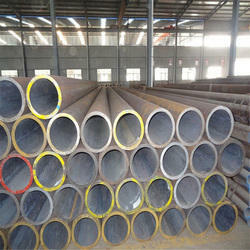 ASME SA 335 Alloy Steel P91 Seamless Pipe, it is mainly used for high temperature services. 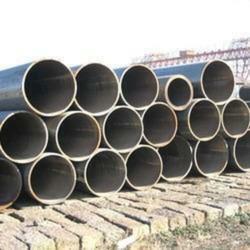 Aesteiron Steels Pvt Ltd, is A335 P122 Pipe Supplier. 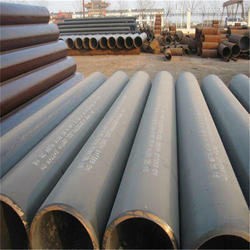 ASME SA 335 Alloy Steel P122 Seamless Pipe, is used for high temperature service temperature. Aesteiron Steels Pvt Ltd are one of the leading manufacturers, suppliers and exporters of *Mil-S-46850D. Aesteiron, is a prominent A213 Gr T92 Tubing suppliers. ASME SA213 Alloy Steel T92 Seamless Tubes is suitable for use in structure, construction & other areas. Aesteiron, is a prominent A 213 Gr T122 Tubing suppliers.